Candy Pink Striped Paper Straws - 25 Ct. Perfect for birthday parties, bridal showers, and much more! 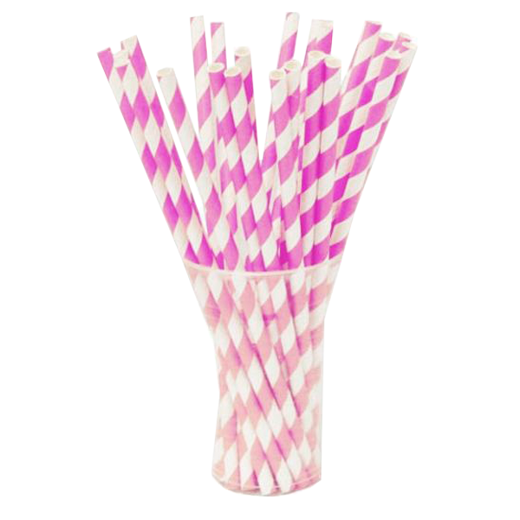 Delight dinner guests at your next event with our collection of striped paper straws. Made of paper, each straw is bio degradable and FDA approved. Each 7.75 in. straw features a fun stripe design that is certain to enhance any table setting. Perfect for birthday parties, bridal showers, and much more! L: 7.75 in. W: 3.25 in. H: 0.5 in.